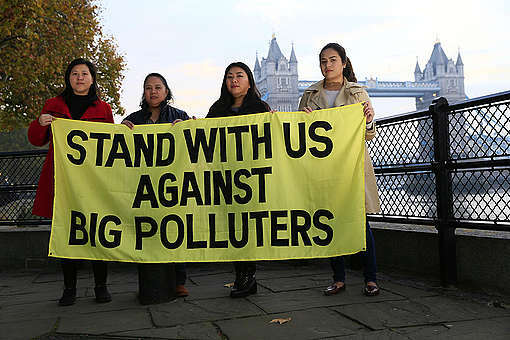 Survivors of Super Typhoon Haiyan in the Philippines – the deadliest storm to hit the country – are in London to give personal testimonies at a landmark inquiry to determine whether the world’s largest carbon producers are violating the human rights of communities worst affected by climate change. The hearings conclude on 8 November, which is also the fifth anniversary of Typhoon Haiyan. “You could not distinguish the roads and dead bodies of people and animals everywhere. We feared for our safety everyday, especially during the night. We just wanted to leave Tacloban…I was traumatised,” says Marielle Bacason, 27-year old Haiyan survivor who migrated to London to work as a research nurse when unemployment rose as a result of the event, and who will be testifying at the hearing.